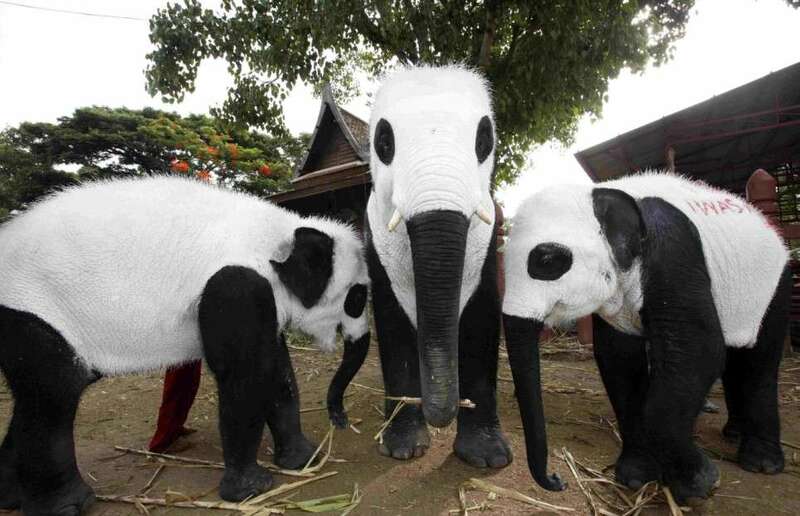 To raise awareness and to compete with the popularity of the two newborn Chiang Mai pandas that everybody in Thailand are talking about, elephant keepers at the Royal Elephant Kraal in Ayutthaya painted five of their retired elephants with watercolour paint and invited schoolchildren to meet them. You can find more pandafant pictures on Flickr! You are currently browsing the Sugar's Kitchen weblog archives for the day Sunday, June 28th, 2009.